When I was around 18, I read James Redfield’s ‘Celestine Prophecy’ and was quite blown away by the concept of synchronicity. A lot of things in my life have happened due to meaningful coincidences and the Silent Valley trip is one of them. During the first or second week of joining my new workplace (just about 2 months ago) I got to know that one of colleague’s husband is a photographer working on a one year assignment in Silent Valley. I immediately told her that I would like to visit the place when he is there. With October 2nd being a holiday, it didn’t take long before four of us decided to make the trip. His assignment was drawing to a close and he wouldn’t be there for long. With another friend and two of my cousins (one of whom is an avid photographer himself) joining in, the Silent Valley trip happened and I now fondly remember it as one of those life changing incidents. If you are wondering why, read on. Note: Scroll down for more photos. Click on any thumbnail to view in full size. You can also checkout my cousin Rajith’s website for photos. I wasn’t tracking upcoming holidays but Sandeep, my friend, was really desperate to get out on a vacation. He pinged me about a week before October 2nd, suggesting we hit the road by converting the holiday into an extended weekend. Our initial plan was to go to Hampi but once I got into the groove of holiday planning, I suggested Silent Valley. 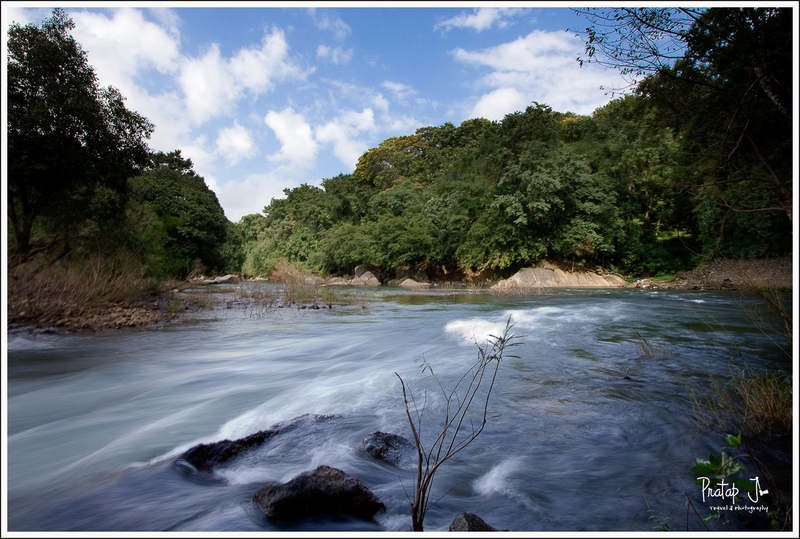 Having just got back from Kemmangundi and the memory of the wonderful time we spent there fading, I wanted to rest in mother nature’s lap once again. He was game for Silent Valley and I made inquiries with my colleague about her husband’s availability and accommodation at the National Park. I wasn’t really sure what kind of place it was going to be, but the photos I saw at http://silentvalleynationalpark.com got me really excited. 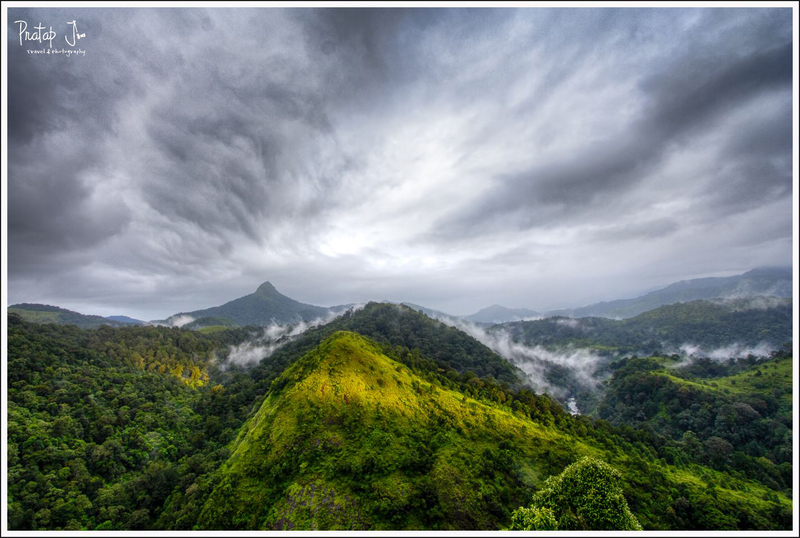 My colleague’s husband, N.P Jayan, has done a wonderful job in photographing the different moods of the forest. And with people like Kalyan Varma always inspiring me to follow my calling, I just couldn’t wait to get out of Bangalore (the same feeling that I get ever so often). I kicked off an email thread in which my fellow travelers and I discussed what we going to carry. We were warned of leeches so I head out one evening to Adventure Works in Jayanagar and found good quality leech socks. At 300 rupees each they were rather expensive, but we were to realize later how important they were. We were asked to pack light so we froze the list of thing to carry. My cousin Rajith and I were to carry our camera gear in our respective Lowe Pros while his brother Rohith and Sandeep were to carry rucksacks with our clothes and stuff. Our plan was to depart Friday (September 28th) night and return on Wednesday (October 3rd). I took the responsibility of booking tickets upon myself because without tickets, I wasn’t confident of pushing others to travel if they were to display any signs of inertia. Palakkad in Kerala and Coimbatore in Tamil Nadu are the nearest train stations so I searched http://IRCTC.co.in high and low for train tickets. With all the trains booked, I tried my luck with bus tickets at the Karnataka State Road Transportation Corporation (KSRTC) counters next. It was no-go even there, so I tried my luck with private bus operators. In spite of doing all this a week before our trip, I was in for a disappointment because all buses and trains seemed to be running full. I was losing hope, but luckily a travel agent at Rajajinagar got me four tickets. I paid an exorbitant price of 500 rupees per ticket, but his consolation was that we would be getting sleeper buses (not very comfortable IMO, but beggars can’t be choosers). Return tickets were booked from Palakkad to Yesvantpur by train, which surprisingly had plenty of vacant seats. So with tickets booked and our itinerary and baggage planned, we were all just raring to go. Googling for Silent Valley didn’t give us a lot of information and the fact that none of knew Malayalam infused a sense of adventure into the trip. But my perseverance was put to test when I got a phone call three days before our trip from the travel agent saying that our bus was broken down and will not be making the trip. He was callous enough to say it so plainly and probably thought it was ok to do so because he was refunding our money. Three days to go, no tickets and all buses and trains booked. What was I to do? Such situations are not uncommon in India and scarcity is in fact welcomed by a certain section of people. Such scarcity (of tickets) is in fact artificial as I was to realize soon. I tried the ticketing agents in front of Majestic bus stand as a last ditch attempt on Wednesday evening, hoping they’d have more pull with the bus service guys. I was greeted by a broker who (like in the RTO office) promised to get me tickets. He took me to a number of shops until one guy said he’d get me KSRTC tickets for 500 bucks. I was like WTF! I had personally gone to the KSRTC booking counter a week ago and was told all seats were booked and here was this guy making a phone call and getting me tickets! Turned out that agents pre-book tickets and sell them at really high prices to desperate travelers like me. I found out when I got the printed KSRTC tickets in my hand that the original cost of the ticket was just 270 bucks and I was charged almost 45% more. The bus was a Rajahamsa (luxury) one but our seats way back. If the director of KSRTC is reading this, here is news for you (which you probably are already of aware of) – agents rip off people and your folks have a hand in this. If you are a traveler desperate for tickets, here is news for you – head out to the ticketing agents in front of Kempe Gowda bus stand and they’ll get you tickets to anywhere at anytime. Just be prepared to pay lots of money. Not having traveled in the Coimbatore/Palakkad route before, we left all the planning to Jayan. 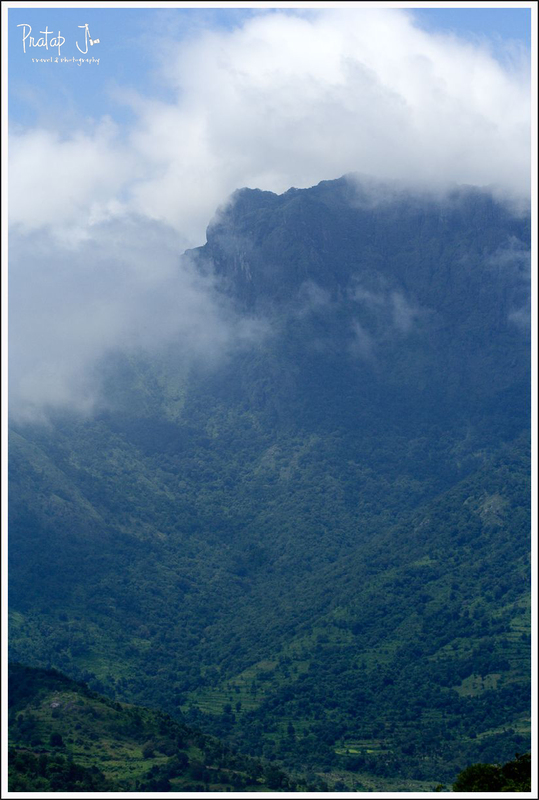 We were told to reach a small town from Mukalli, which is about the same distance from both Coimbatore and Palakkad. 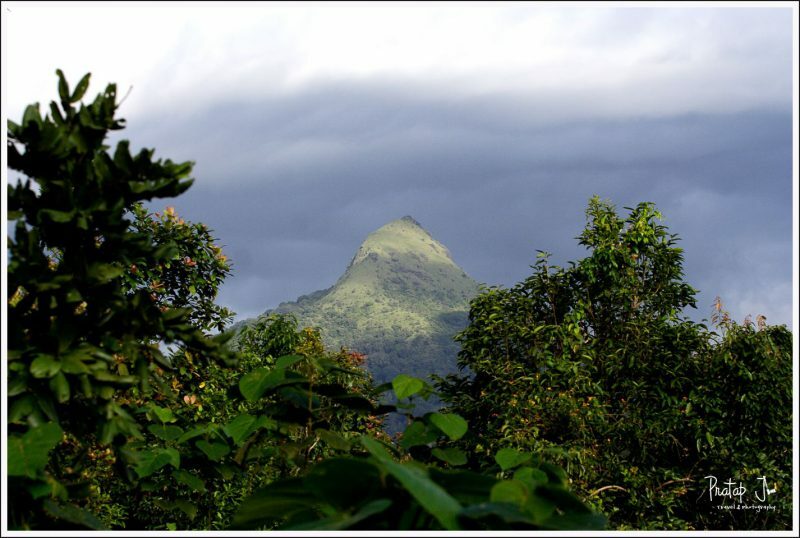 From Mukalli, we would be escorted into Silent Valley by a forest guard called Soman. Our first destination in Silent Valley would be Sairandhri. 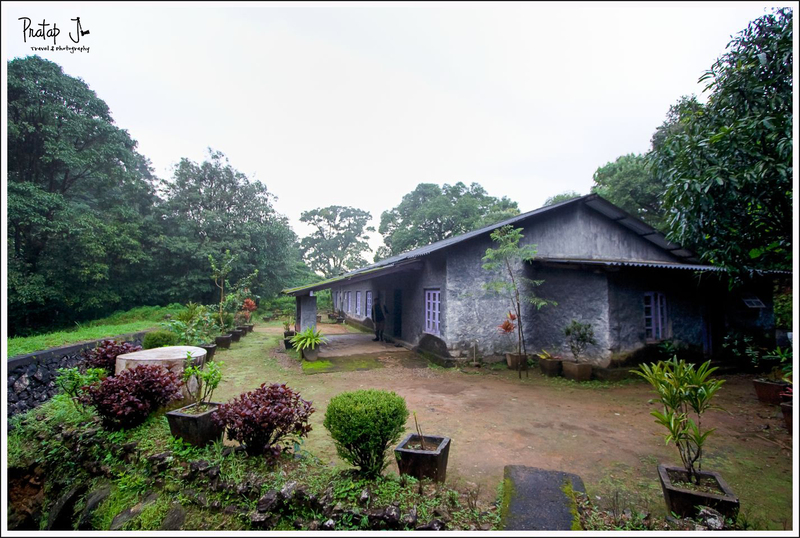 It houses an Inspection Bungalow and a Forest Officers’ Quarters. After a night’s stay at Sairandhri, and meeting Jayan who would join us from elsewhere the next day, we were to trek to Poochapara which is 7 km deep inside the forest. A Forest Officers’ Quarters/campshed there would house us for a night and then we would trek back to Sairandhri by October 1st (Monday). Important to note here is the fact that Poochapara and beyond is off-limits for day-tourists. I understand that with adequate permissions, a small group of visitors can indeed trek into the forest, but they must be prepared to rough it out. Normal visitors can travel only till Sairandhri, where a watch tower gives a panoramic view of the entire Silent Valley. They can also visit a hanging bridge close by, but cannot stay overnight, unless they have the right permissions. Mukalli to Sairandhri is around 22 km of bad road, but jeeps are available for hire for 600 rupees at Mukalli. Adequate permissions must be obtained at Mukalli and all visitors must abide by the rules laid down by the Forest department (no leaving behind plastics, no loud horn/music etc.). We chose to alight at Coimbatore on Saturday, freshen up at a friend’s place and then go to Mukalli (switching buses at Annekatti). However, once at Coimbatore, my friend arranged for a taxi which took us directly till Mukalli. It turned out to be a good decision to travel by taxi because we could stop on the way and shoot. Our taxi dropped us off at Mukalli on 29th (Saturday) by 2:00 pm. Soman, our point of contact was not there and his ETA was unknown. After lunch at a small shack, we went to a river side nearby, spending time till Soman’s arrival. We spent nearly 3 hours there, but Soman was missing yet. We decided to head into Sairandhri on our own, but luck was with us because Soman arrived just as we finished the formalities at the Mukalli office. He also helped us buy provisions because there aren’t any shops after Mukalli. We bought stuff for our four days of stay (rice, atta, vegetables etc). The situation at Mukalli was rather interesting because apart from Soman not being present, Nagaraj, the Assistant Range Officer was in Trivandrum and Jayan’s whereabouts were not known and he was not contactable. None of us could speak Malayalam (my Tamil, however, helped) but yet we felt very comfortable just spending time by the river side. 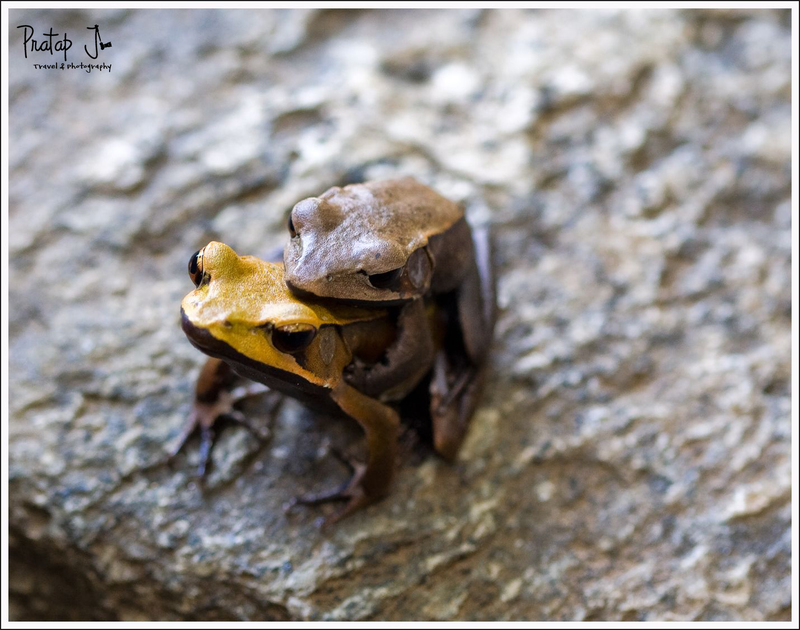 We got a rare opportunity to shoot two frogs mating near the river and we fully explored Jayan’s new 100mm macro lens. In other words, Mukalli acted as a great warm up for the days ahead of us. After finishing the formalities at Mukalli (we were charged 300 rupees in total as entry fees and miscellaneous charges, but other visitors may have to pay more), we headed into the forest by jeep. The setting was perfect – sun going down behind the mountains, light rain and four nature lovers with backpacks. A forest guard accompanied us till Sairandhri and it was dark when we got there. We couldn’t see anything around but the silence and the forest air was totally refreshing. And did I mention it was calm? The term Silent Valley came about because of the lack of crickets but these days you do hear them. Nevertheless, the forest is very silent and we were put up in the Inspection bungalow. Although devoid of basic furniture, the Inspection bungalow turned out to be one helluva place in a place as remote as Sairandhri. Huge and spacious, the bungalow had comfortable beds and blankets were provided. No room service but we weren’t expecting any either. We were tired from all the traveling, so after resting we went to the Officers’ Quarters (which is 100 mtrs down), for dinner. Mind you, the place has no electricity. The buildings have solar powered lights (which don’t last long on cloudy days) and it was pitch dark all around. The air was damp with a slight drizzle and few leeches hooked onto Sandeep on the short walk till the quarters. Our first meal at the Officers’ Quarters turned out to be heavenly and we were served similar simple, but tasty food for the next four days. In between hogging, we were conversing in broken English and Tamil with the Forest guards. They didn’t seem very friendly with us at first. Sandeep and I downed around 12 chapathis each and I think that prompted the staff to tell us that the provisions we bought were not sufficient. Jayan had told them about our visit beforehand, but we were strangers nevertheless. So I think the initial unfriendliness was justified. Jayan was not yet contactable and our plans were still uncertain, so that kind of made it difficult for us to converse freely with the staff. During the conversation we learnt that 12 guards are stationed always at Sairandhri. The only contact with the outside world is via radio communication, although solar powered electricity offers them light and TV. Mobile communication is restricted to the watch tower which is at a slightly higher altitude, and provisions are supplied once a week. After dinner we retired to our rooms and slept really well, surrounded by thick jungle and wild animals. Some lovely pictures there. We plan to spend Christmas vacation at Silent Valley next week. Would you have contact numbers for the inspection bungalow or any help with how I cam make prior arrangements for our stay. Also, is it required I make prior booking, assuming this is the only accommodation. Appreciate all the useful information shared in your blog. It has been a really long time since I visited Silent Valley National Park. I don’t have anyone’s contact information now. Also, I don’t think they allow visitors to stay there unless you know someone in the department. You can try your luck by contacting someone in the forest department. Good luck!